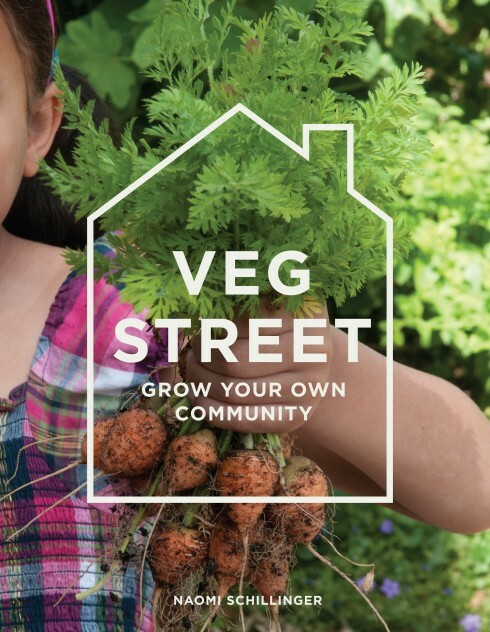 I recently popped round to see a fellow allotmenteer’s garden in North London. It’s not the first time that I’ve visited Judy’s garden this year. 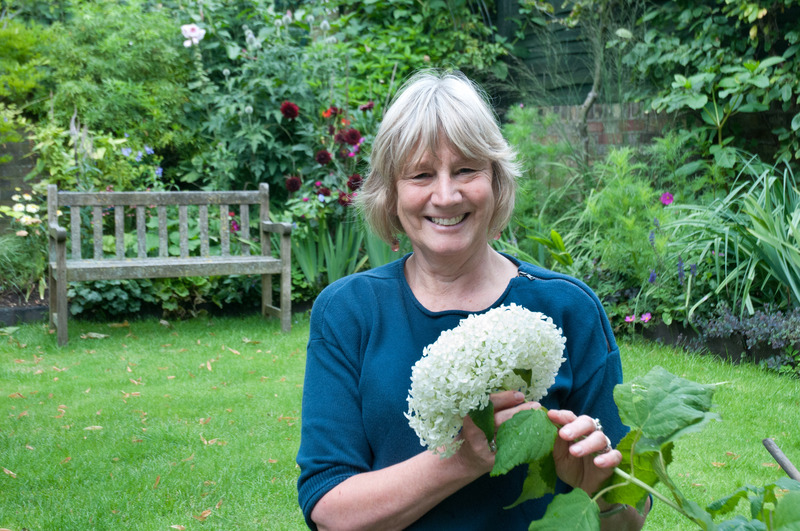 She’s such an enthusiastic and knowledgeable plantswoman that her garden is always full of wonderful plants to discover and the garden is constantly changing and developing at different points throughout the year. It’s only been a couple of months since my last visit, but the garden has an even more lush feeling after our recent weeks of rain. 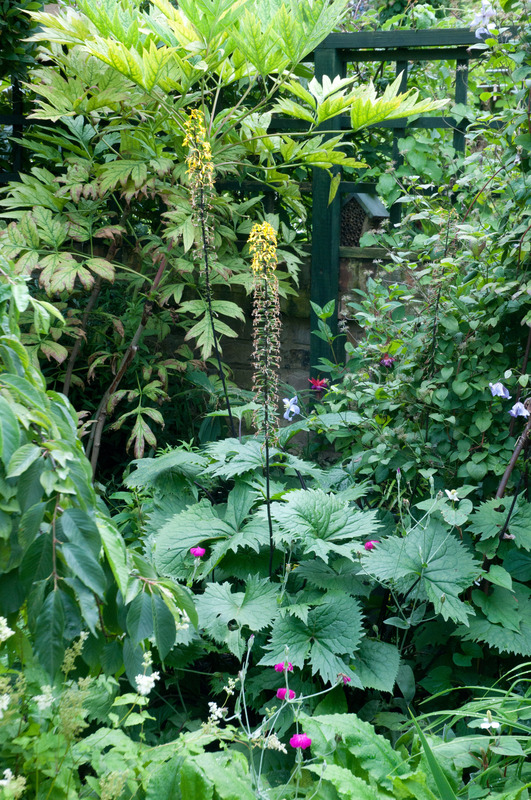 Judy pointed out that this Ligularia “The Rocket’ has been at it’s best this year, after 5 years in the garden. We wondered if it’s because of the rain, or perhaps that after 5 years, this normally marginal plant has finally settled in to its London clay home. 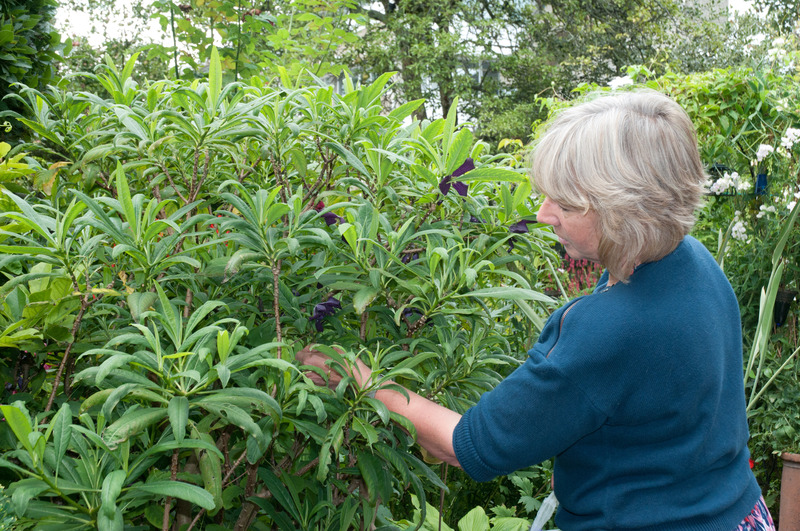 Judy also finds that some Clematis can take years to settle before they start giving their best. 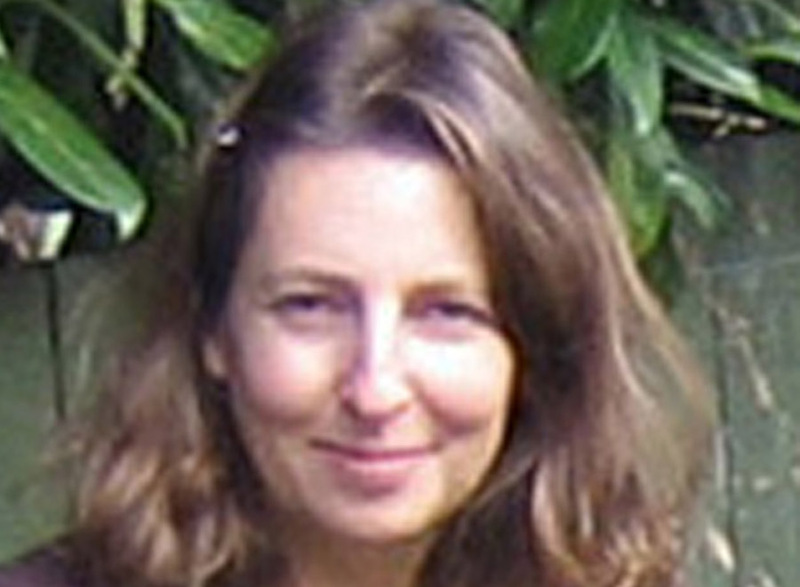 Good to hear that time and patience can be rewarded! 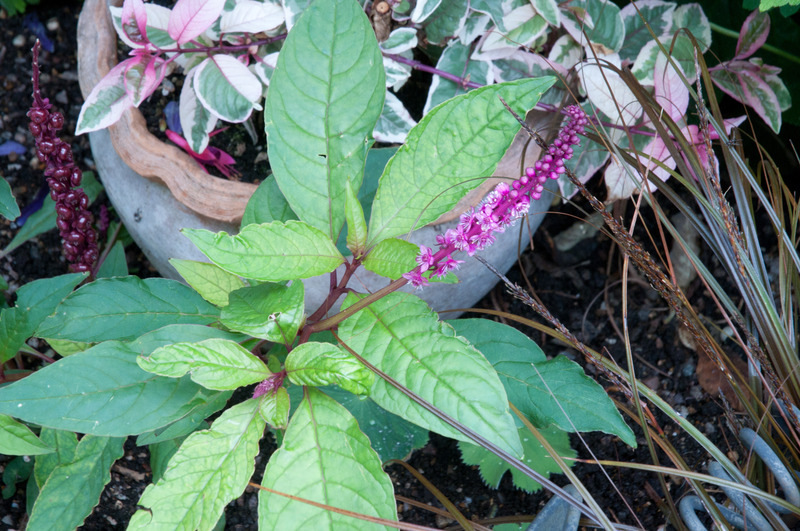 A new plant for me this time was Phytolacca esculenta. 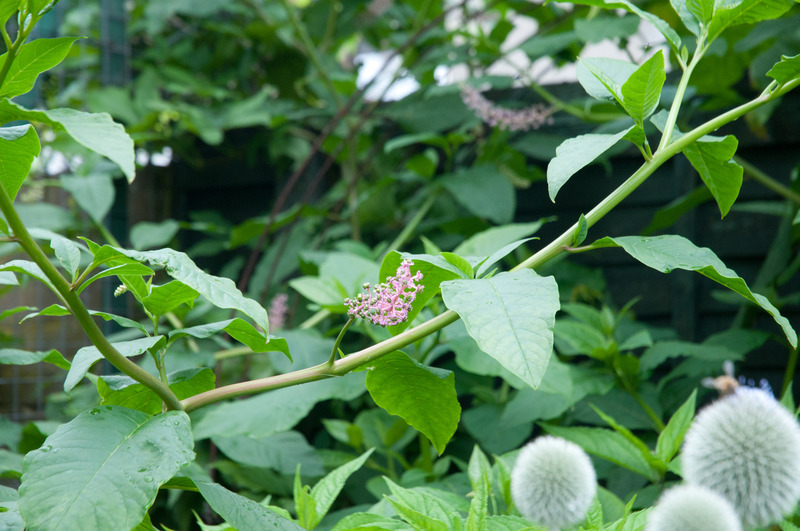 Originating from East Asia and China, this plant can put on 6ft of growth each year if cut right back in spring and has stunning black berries later in the year along with it’s dark, meaty stems. 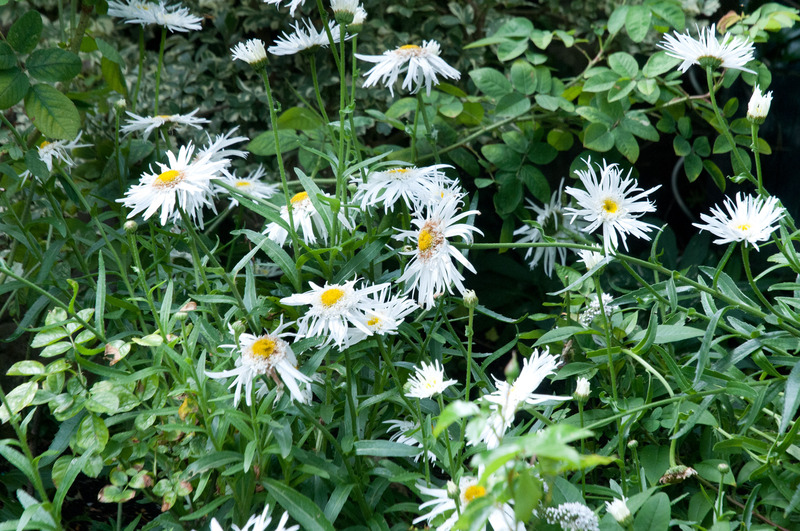 Leucanthemum shone out from the middle of a border. Quite lax in habit here, but Judy points out that when planted in less rich soil, it is a much smaller plant with tighter growth. Similar wild looking varieties were all the rage at Hampton Court this year too. Edgworthia chrysantha (above) originates from the Himalayas and needs a sheltered spot. Said not to be frost hardy below -5, this shrub has happily survived in Judy’s garden for the last 5 years. Related to Daphnes, Edgworthia produces sweetly scented flowers throughout February and March and finally reaches height and width of about 5 ft. 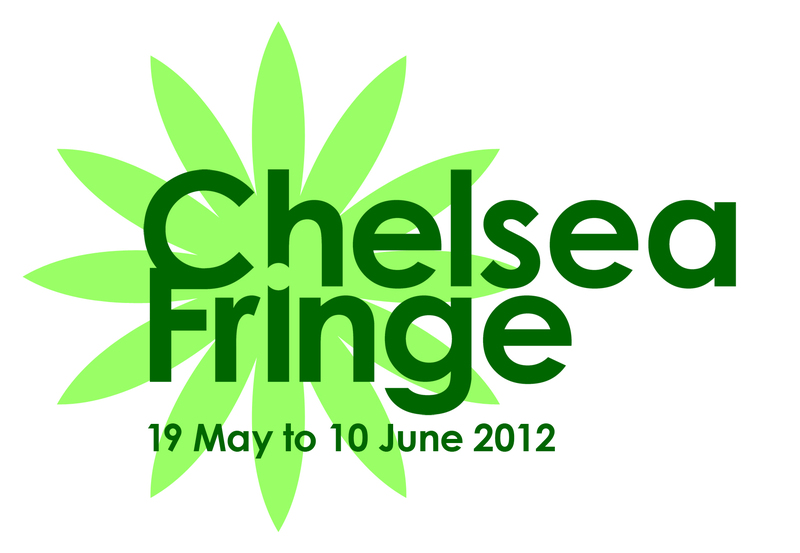 Sounds and looks perfect for a sheltered sunny spot in most London gardens. (Available from Perryhill Nurseries in East Sussex). 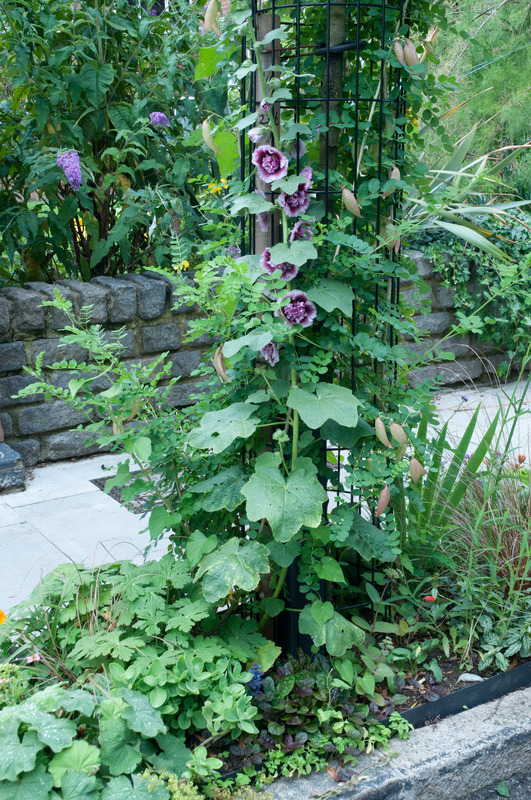 Whilst this tree helpfully has a protective cage -great for tying in Hollyhocks and growing climbers too. 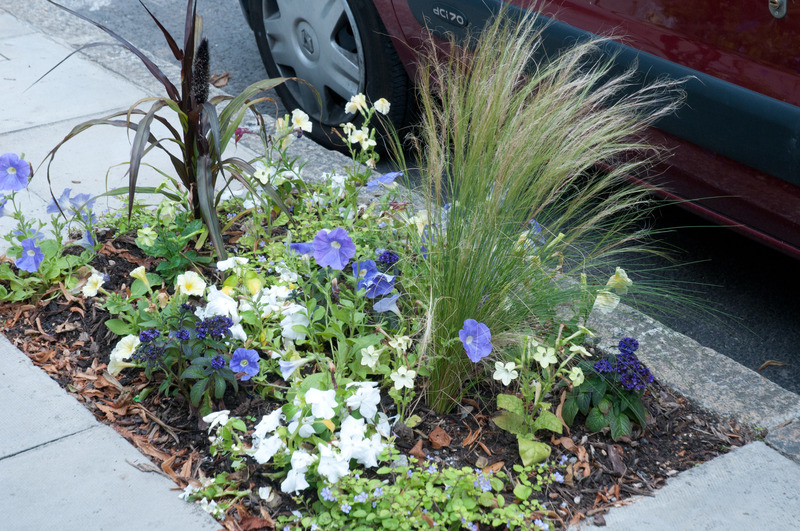 Across the road in a local square, Judy and other residents have worked closely with the council to transform the planting areas in this green space. 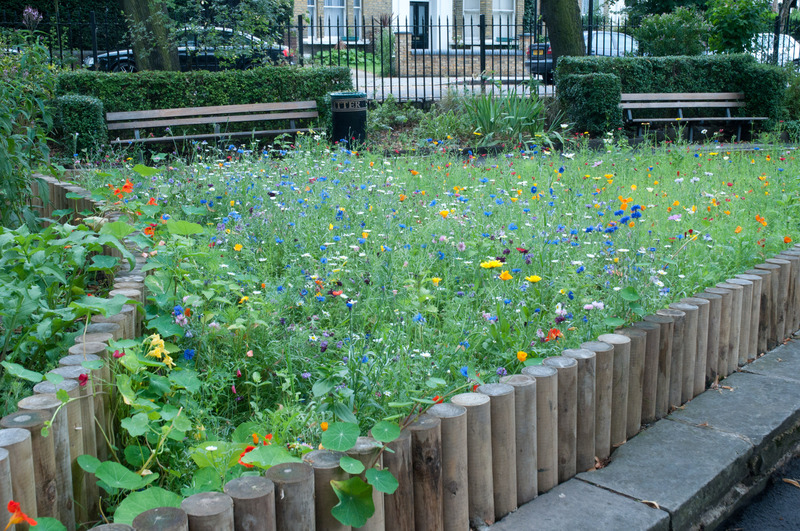 A wildflower ‘meadow’ has been created using seeds supplied by Pictorial Meadow Seeds, nasturtiums and eschscholzia and other annuals added into the mix. A delight, especially in such an urban setting. 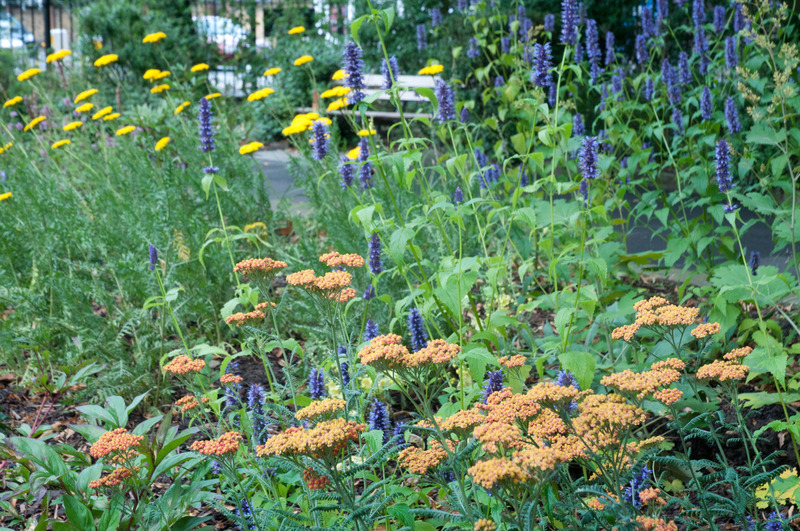 And at the other end of the square, Achillea and other perennials have been planted to create a ‘prairie style’ border. It will be really interesting to see how these recently planted up borders progress and I’m looking forward to my next visit to Judy’s garden (and her local environs) already.